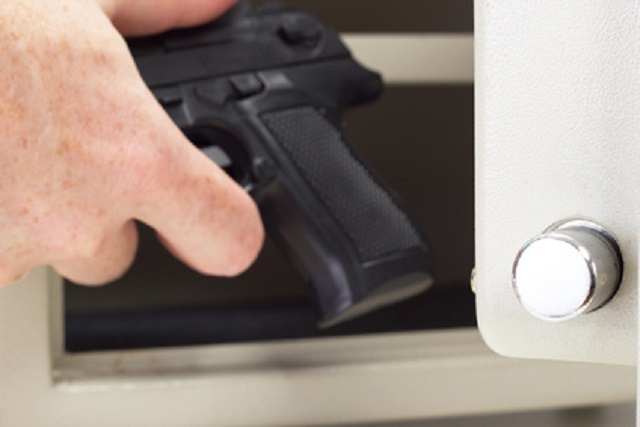 You want to make sure you are storing your gun properly. You don’t want a child harming themselves or others. You don’t want it stolen. Gun theft is bad news. First you have lost something you paid a good amount of money for, secondly you may not be able to replace it before a situation requires the use of your home defense weapon, and finally last but not least your weapon may be in the hands of thugs who will use it to harm someone. It’s really a balancing act between having your weapon ready for action and keeping it secure so it doesn’t fall into unwanted hands. We found a good video on the topic. First they mention carrying in the house. That is good if you can do it. I like especially how they talk about thinking about your defense plan and placing weapons to support it. Check out the video and let us know about how you secure your weapons. Now these are basic techniques. If you want advanced techniques about hiding your guns from thieves, home invaders, and whoever else… I suggest you check out this report. Click here.